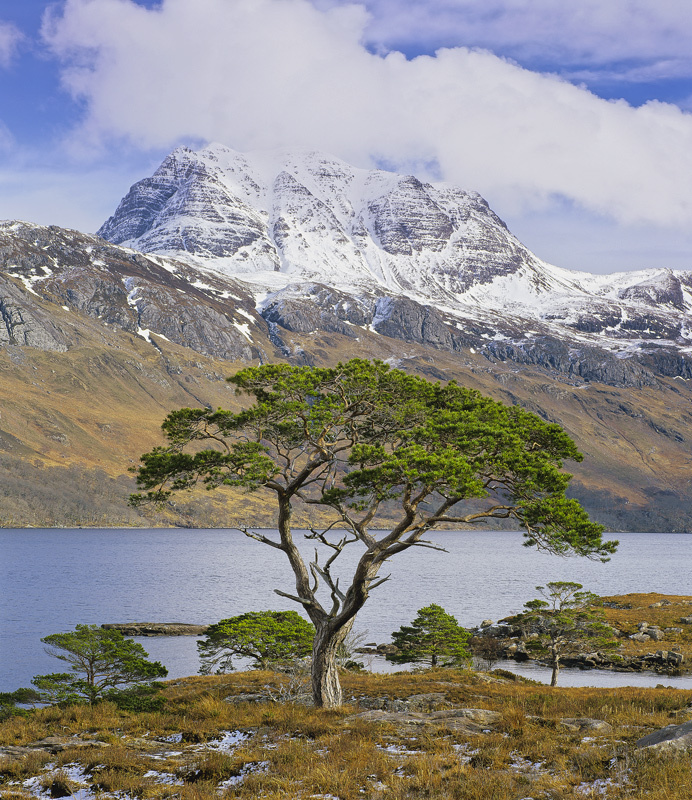 The umbrella canopy of a gorgeous scots pine tree mimics the crown of the snow dusted molar that is Slioch an inaccessible Munro which dominates Loch Maree at its base. I waited for ages for the cloud pattern to provide as much interest as possible in combination with the sunlit trees and a mountain not quite shrouded in cloud. This was as near to my wish list as I managed to get.